Easily see the fabric motif you want to fussy cut! 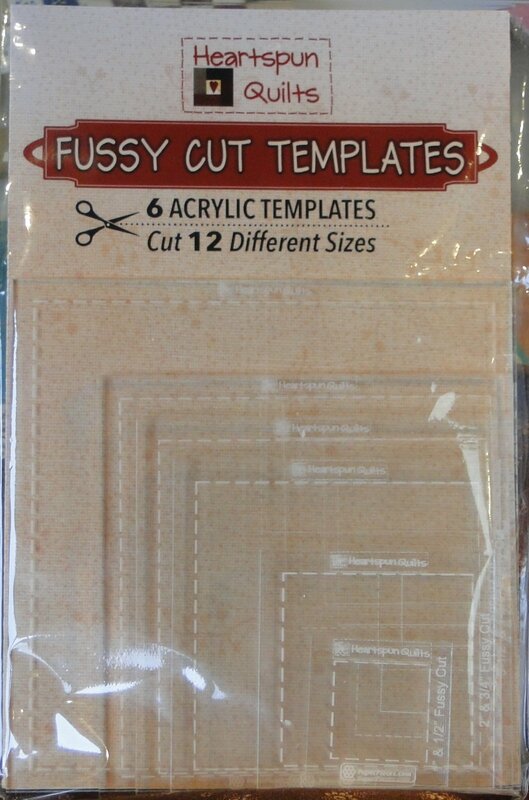 Template set cuts 12 different sizes! I really enjoy having fussy cut fabrics in my quilts. They add a fun little surprise inside the blocks. I've been frustrated using the current fussy cut templates and rulers because I feel there are too many lines obscuring the motif making it hard to see. I just want to see the fabric motif I want to fussy cut! SO...I created a set of templates that have only two very faint lines. 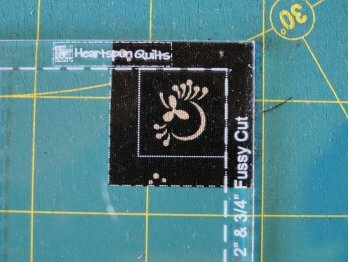 There are six templates and each one fussy cuts two different size motifs. 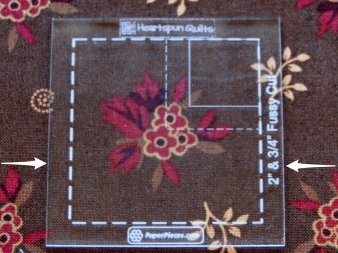 Use the full size large square (disregarding the inset square) to center the motif you wish to cut. Use the inset square to center the motif and cut the smaller size square. Instructions with color photos are included in the package. If ordering outside of the U.S. please email me and I will send you a PayPal invoice for the pattern and appropriate postage. If any notion item is out-of-stock and you'd like to order one, please email me at Pam@HeartspunQuilts.com, and I'll be glad to order it for you.